GREEN BAY — Packers safety Morgan Burnett’s status for Monday night’s game against Kansas City was in question on Saturday following Friday’s practice. “Morgan Burnett felt something on his calf. With the history there two weeks ago, we pulled him out of practice. We’ll see how he gets through today,” Coach Mike McCarthy said on Saturday. Burnett is a key defender in the Packers’ plans for defensing Chiefs running back Jamaal Charles. Burnett missed the season opener in Chicago and the Bears’ Matt Forte rushed for 141 yards. Burnett returned to the lineup in Week 2 and Seattle’s Marshawn Lynch was held to 41 yards rushing. “Morgan means a lot. Just look at Week 1 and Week 2. He definitely makes a difference when he’s on the field. 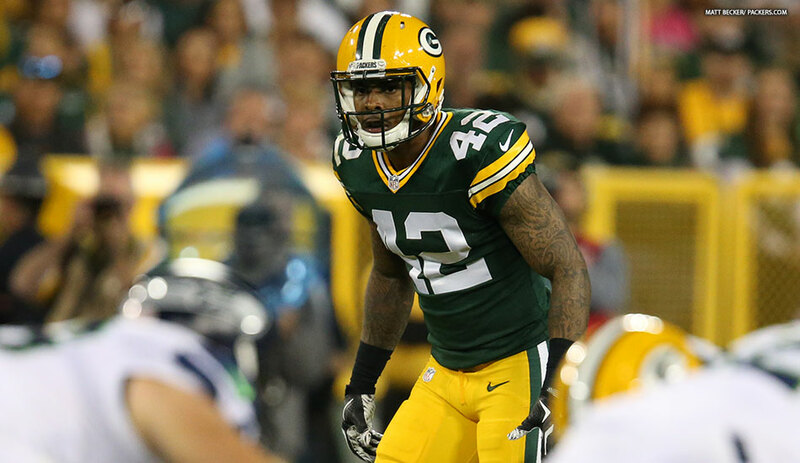 He’s definitely one of our best players on defense,” McCarthy said. McCarthy confirmed tackle Bryan Bulaga (knee) will miss his second consecutive game, but hopes are Eddie Lacy and Davante Adams, both of whom are coming off ankle injuries, will be able to play on Monday. “I thought Eddie did some good things in his limited reps (on Friday). We have a lot of time left. Eddie and Davante are both progressing,” McCarthy said. Packers.com will provide a full report following locker room interviews this afternoon.